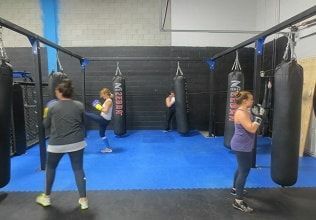 Thai Boxing mississauga or Muay Thai is the most efficient stand-up combat sport based on kicking and punching essential for every martial artist. Our classes provide to students the art, great work out, self-defence skills and fun. We are following tradition and training methods of world most successful Thai Boxing GYM Chakuriki Amsterdam combined with traditional Muay Thai and French Savate. Mixed Martial Arts is world fastest growing combat sport that allows the use of both striking and grappling techniques, both standing and on the ground, from a variety of other combat sports and martial arts. Our program covers the entire scope of the sport, combining ground and pound, striking and grappling. Brazilian Jiu Jitsu is submission grappling combat sport. It focuses primarily on achieving victory by submission, and on attaining dominant positions on the ground in the fight. 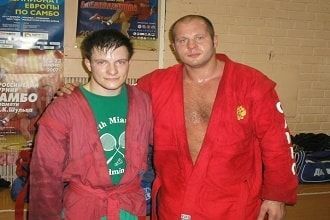 Fighters with BJJ background were very successful in first days of MMA. We are the one of the very few GYMS who offers Combat Sambo program Combat Sambo is Russian modern mixed martial art that allows punches, kicks, elbows, knees, and groin strikes. Many of the best MMA fighters ever comes from Combat Sambo. This is great opportunity to learn this extremely efficientart. Kids Program is martial art program for children ages 6-14. This program fosters growth, development, body management and useful physical skills. It also builds Using games, exercise and martial arts skills children will enhance their level of physical growth. We introduce concepts of respect, discipline, focus and control through martial arts, as well as character development and bully-proofing.